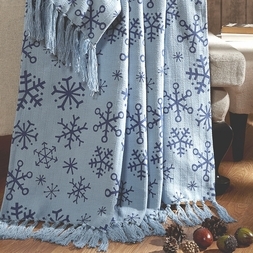 Oh!... 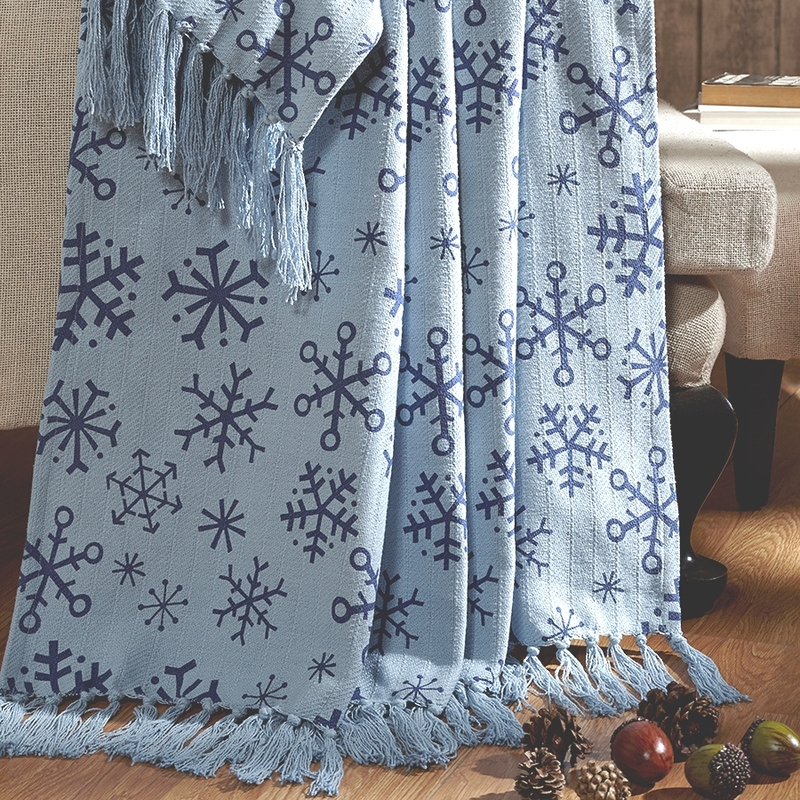 the weather outside won't matter if you have this comfy powder blue woven throw. 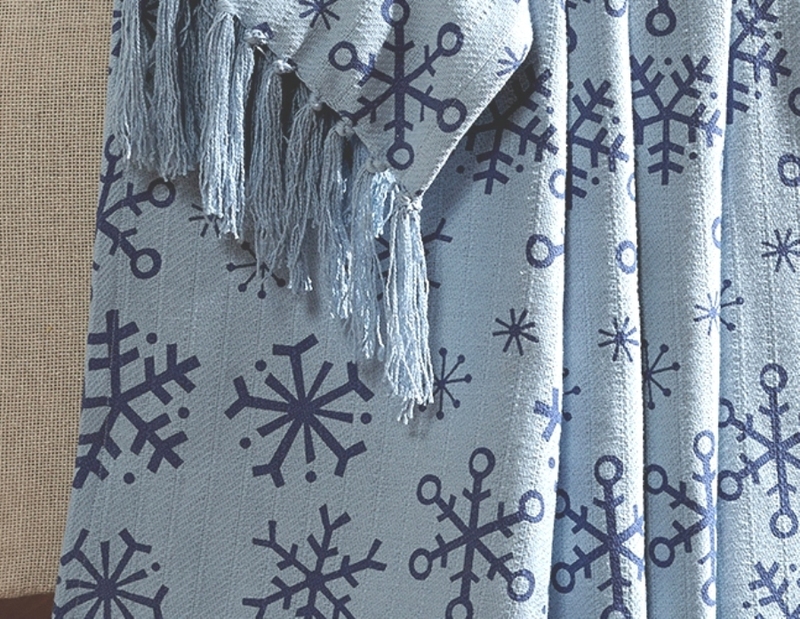 Printed snowflakes of different shapes and sizes flutter across the woven background, with 5-inch tassels on both ends.